Life is a series of decisions not a series of events. Last Thursday, I attended the event Real Women. Real Conversations. It was put on by our local chapter of NAWBO (National Association of Women Business Owners). What a great resource to have available. It has been a while since we had attended this type of event. Sometimes you get busy with life and forget to nurture other parts of your life, but it was well worth the time. It was an extremely inspiring, insightful and fun afternoon. The speaker was Suzy Welch and she was there to talk about her method for making decisions called 10, 10, 10 (10 minutes, 10 months, 10 years). I had first read about the method in Oprah several years ago. I am currently reading her book, it is any easy read and makes total sense. 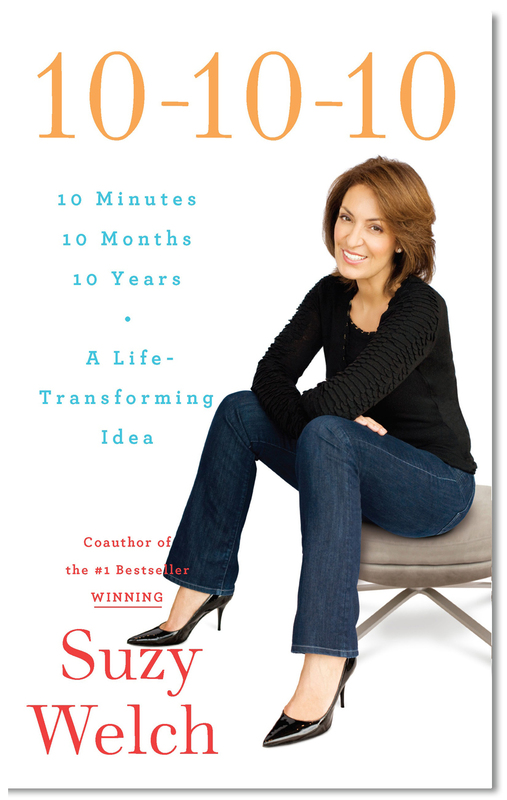 As Suzy says, “All it takes to begin are three simple questions: When faced with a complex dilemma, stop and ask, “What will the consequences of my options be in 10 minutes, 10 months, and 10 years?” The part that I like is that there is no sugar coating going on. Some decisions that you make may not make you happy but in the long run it is what you need to do. 1. What would make you cry on your 70th birthday either from sadness or regret? 2. What do you want people to say about you when you are not in the room? 3. What did you love about your childhood and what did you hate about your childhood? I think the 10, 10, 10 method is a logical way to look at decision making. And sometimes, when decisions are particularly difficult it is good to have a method or “list” to follow and a way to validate the decisions you’ve made. It was nice to see that everyone has to go through sometimes difficult decision making but if you make the decision not let the decision make itself you do have some control.